The thought that nature can also be an infrastructure is not new; nature can be harnessed to provide services within the urban environment, by reducing risk of flooding or excessive heat, or improving air quality. When nature is harnessed by people this is known as "green infrastructure," this type of infrastructure can be adopted on a range of scales and placed on a variety of different surfaces. Green infrastructure can be parks, forests, trees, gardens and more. But with the increasing trend of urbanization, the coverage area dedicated to green spaces has significantly reduced in urban environments. Green spaces have been replaced with impermeable materials known as "grey infrastructure" that have contributed to the increased frequency of flooding and raised the temperature of urban spaces. Overall lost green space also results in decreasing air quality, a rise in greenhouse gas emissions, and reduced biodiversity. Urbanization has largely been driven by the move of people to cities, and this trend is dramatically increasing. By 2050 it is estimated that 70 per cent of the world’s population will live in urban areas. This fact alone is of great significance to resource availability, including access to clean drinking water, waste management, transportation and aspects of modern day society. Furthermore, climate change will bring additional stresses to managing the urban environment, more extreme weather events, shifting resource availability and sea level rise will all have to be managed for a growing urban population. 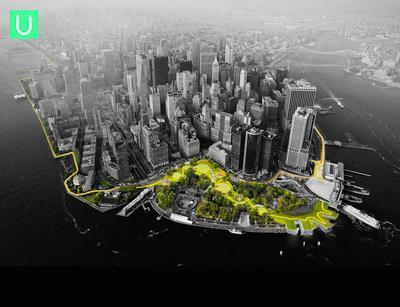 Considering the effects of climate change and the increasing trend of urbanization city officials, urban planners and architects are looking at ways to better integrate green infrastructure by creating resilient city plans. Such efforts can be seen in the Action4Climate documentary "Rotterdam - The Transition to Urban Resilience." The film is part of the URBES project, which with a focusing on European case studies cities is a research group focused on bridging the link between urbanization and ecosystem services and biodiversity. Realizing that cities need to become natural systems is key in addressing climate change, managing resources sustainably, enhancing clean energy provision and creating healthier and smarter places to live, work and play. Increasing the provision of green infrastructure also has a direct impact in reducing the "heat island" effect, which can help address the health stress humans are exposed to from extended and more severe warm periods brought on by climate change. Research has also shown that human wellbeing increases when people live near nature and water elements. 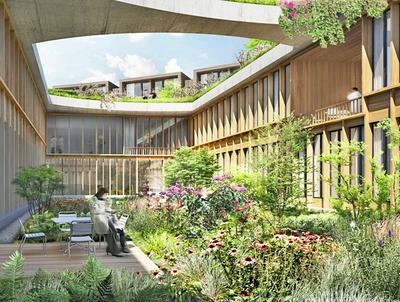 Urban green infrastructure can play a role in bringing nature closer to people living in cities, allowing for greater interaction with green spaces. The concept of encouraging public places has been at the heart of urban design theory for centuries. Public spaces advance social vitalization in cities; green spaces can contribute to enhancing social hearts of the city. Another exciting concept building on green spaces is urban agriculture or creating vertical farming that adopts intensive production methods to meet the demands of daily consumer needs. Such a method of food production is seen to be more conscious to the environment as it maximizes yields and removes many of the added burdens of traditional agriculture such as large transportation miles or unsustainable fertilization or irrigation practices. The first commercial vertical farm, Sky Greens, was opened early this year in Singapore. It provides fresh and locally grown produce, which is a rarity for Singaporeans as only 7% of produce consumed is grown locally. 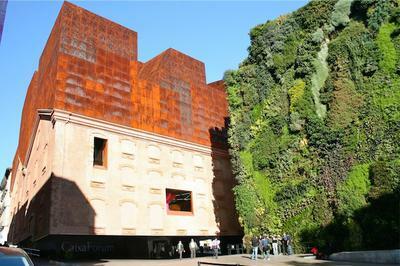 The application of green infrastructure can be adapted for many usages from green walkways, to green roofs and living walls which all positively contribute to the cities environment, however to date green infrastructure is still thought to be at a more conceptual level, as an added extra rather than an integrated approach for city planning. To me it is clear that green infrastructure provides economic, ecological, and social benefits. Green infrastructure should be a priority. Let’s shift from grey to green.